St. Louis' Own Winter Classic is Coming Soon! Though the St. Louis Blues won’t be involved in a Winter Classic, or any outdoor game until at least 2016, there is some pretty exciting outdoor hockey going on around the community, and not just at local ponds and rivers either (if they freeze over again). The 3rd annual Chaser’s Frozen Cup is set to light up the Shaw Park area of downtown Clayton, MO on Sunday February 15, 2015, and it’s sure to be a great time for the whole family. This event keeps the focus on giving back to the St. Louis community, specifically to raise awareness and funding for families with members on the Autism spectrum, and gives all who come a great day full of fun and exciting hockey action, all outside in the elements of the historic Clayton area. 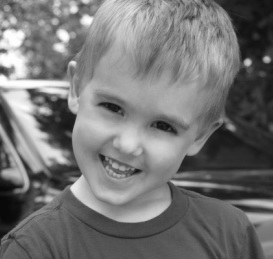 Chase was diagnosed with Autism in summer of 2009. In 2011 the Pottorff family received news that their son, Chase (who was previously diagnosed with Autism Spectrum Disorder), had come down with a severe complication from contracting the E-coli virus called Hemolytic Uremic Syndrome. By early November of that same year Chase had lost his battle with the disease and was sent to Heaven to watch over his family from above. This tragic loss led the Potorffs and their friends, the hockey loving Albers family, to an idea: a Winter Classic in St. Louis to benefit all those families across the area who have members in them with differences on the Autism spectrum. The idea was created to raise awareness and funding to aid those families needs, which range from hospital and therapy bills, toschooling and access to facilities designed to improve the quality of life for those with various Autism spectrum differences. Planning was set in place for the 1st Chaser’s Frozen Cup the following year, and in early 2013 the stage was set for the first event. 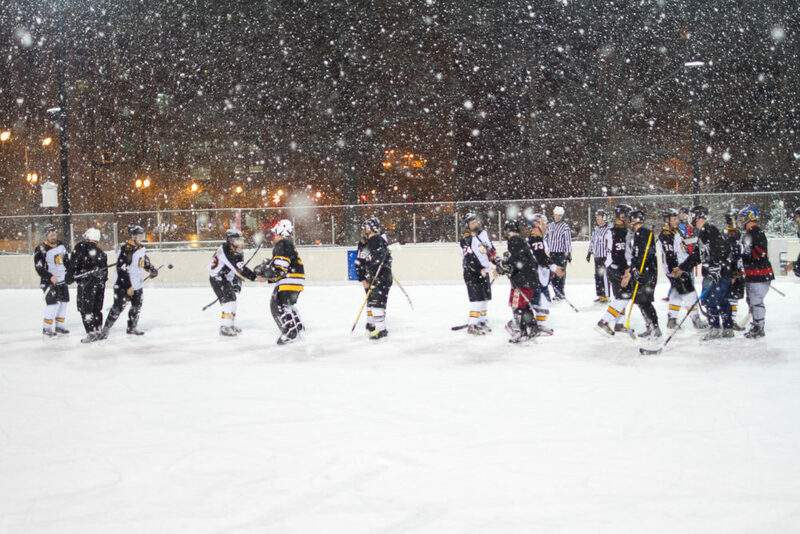 It was decided that a 1-day single elimination, pond hockey type of tournament (rules wise, but teams do have goalies and shoot on regulation nets) would be played to gain as much local awareness as possible for the charity. 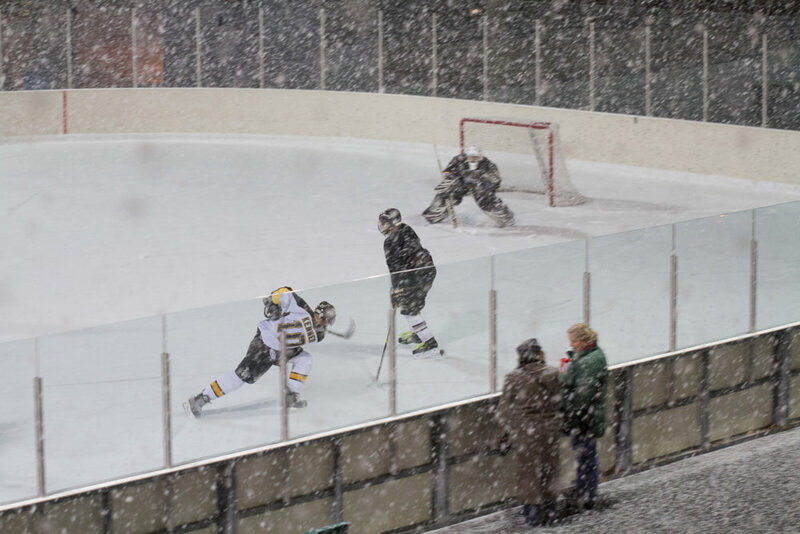 It was a great turnout that inaugural year, which even saw a snow storm make an appearance to really get that true Winter Classic vibe. That first Frozen Cup raised almost $3,000 for the official event charity, Action for Autism (which focuses on getting families with members who are on the Autism spectrum scholarships for the schools they need to attend), and the event has been growing exponentially ever since. Last year the event was able to double their contribution from year 1, raising over $5,400 for the charity, and added a public skate to the day’s agenda so the entire family can come show their support for those differently-abled people around St. Louis. The former professional ice hockey team, the St. Charles Chill, even had their mascot and a couple of players make an appearance to show their support for this new, can’t miss winter event in the Gateway to the West. 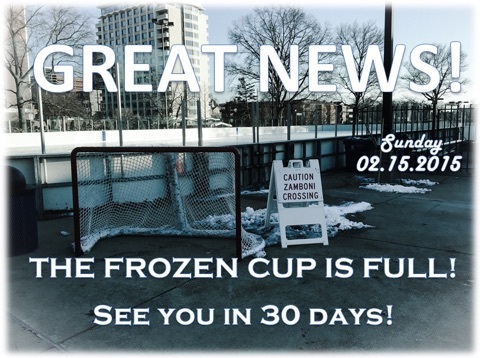 The 2015 Frozen Cup is now full, but donations will be accepted by anyone, all day long! 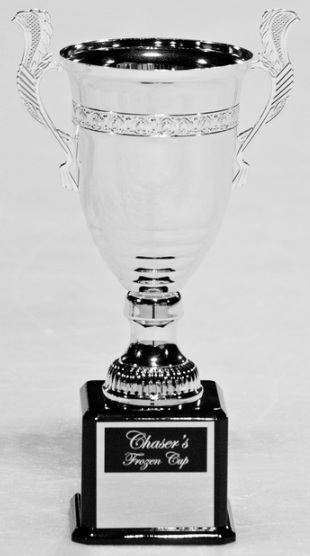 The 2015 Frozen Cup is Sure to Be the Best Yet! In mid-February Chaser’s Frozen Cup will hold it’s 3rd annual ‘Winter Classic’ event at Shaw Park’s outdoor ice rink in downtown Clayton, MO and it’s shaping up to be the best one yet! 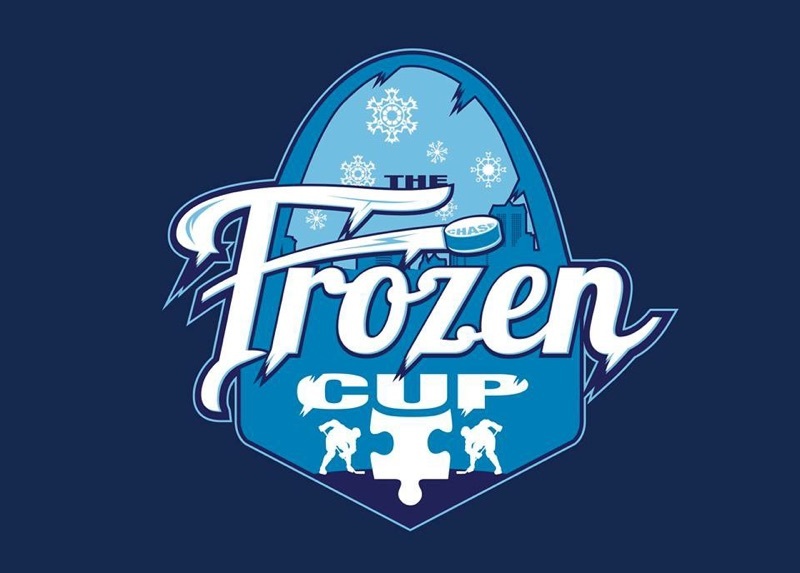 As always, 100% of the proceeds raised will go to Action for Autism, and this year’s Frozen Cup is truly a family fun day with so many activities no one will want to leave before a ton of money is raised and the Champions are crowned. The event is set to kick off bright and early at 7AM, and will go a full 12 hours to see that champion earn their crown by 8PM. Throughout the day there will be plenty of food and drinks (including a chili AND hot chocolate bar to keep you warm), tons of great hockey action, that same public skate from 12:00-4:00PM, and a nice bonfire area to relax and enjoy those sweet libations while you calm down from the rousing public skate. The event’s board, comprised entirely of volunteers who want to see Autism awareness grow across our city, has upped the excitement of the events as well. Those who donate over $1,000 to Action for Autism through the event will receive a custom Frozen Cup jersey complete with their name and favorite number stitched on, and their picture or company logo on the Frozen cup website (www.frozencupstl.com). Those who donate over $2,500 will receive the jersey, a custom banner to be hung at the event, and a custom ‘Frozen Cup’ of their own to proudly display at their home or office, so donate early and often because it’s a great time for a great cause! The St. Louis Jr. Blues will sport these Autism Awareness jerseys in their game on Feb. 21st. They will action them off afterwards. You didn’t think Chaser’s Frozen Cup would be done there did you? The board has also set up a very unique prize to help promote a healthy competition among the teams and to help raise even more money for Action for Autism. The team who raises the most money collectively will get a chance to play the St. Louis Blues Alumni team at a later date. Talk about motivation to raise some money! 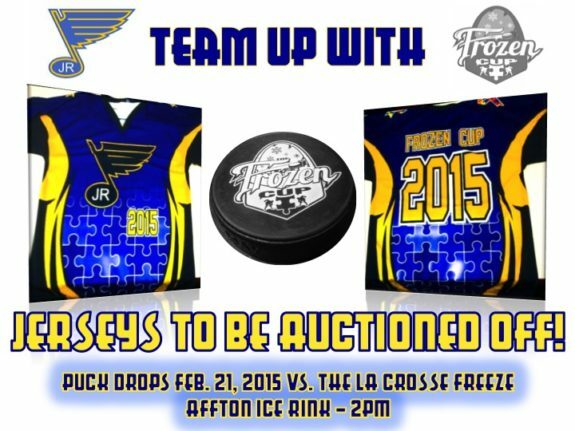 In addition, the St. Louis Jr. Blues have agreed to wear special Autism Awareness jerseys for their February 21st game against the La Crosse Freeze which they will auction off after the game to aid Chaser’s Frozen Cup as well. With all of these activities swirling around this year’s Frozen Cup it truly is a must-see, can’t-miss event. You get a family fun day in downtown Clayton where you can stay fed, full, and warm, while you watch some great live action hockey that all benefits families with members on the Autism spectrum, so mark your calendars now. Sunday, February 15 it’s going down. 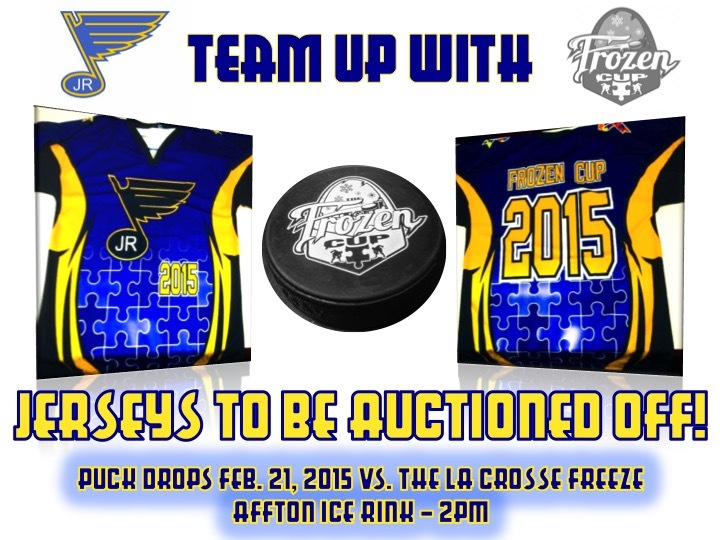 This year’s Frozen Cup has tons to get the entire community excited to come support Action for Autism! If you would like to be a part of the event or if you can’t make it but want to donate do not hesitate to contact anyone from the event by visiting the contact page on their website (www.frozencupstl.com). There’s a lot of reasons to fall in love with this local Winter Classic, but the biggest one is definitely to continue to raise awareness and support for those differently-abled people across our city because they need our help. The Frozen Cup is sure to continue growing their donations and support/awareness for Action for Autism as the years progress, so come out and be a part of this amazing event this year to help them help our city (more pictures from past events are shown below)! 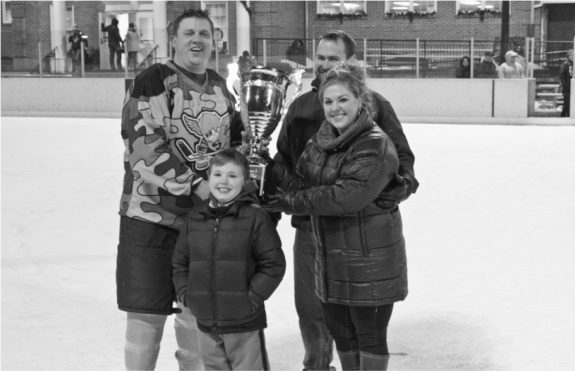 The captain from the Champions of last year’s (2014) Frozen Cup receive the trophy from the Pottorff family. 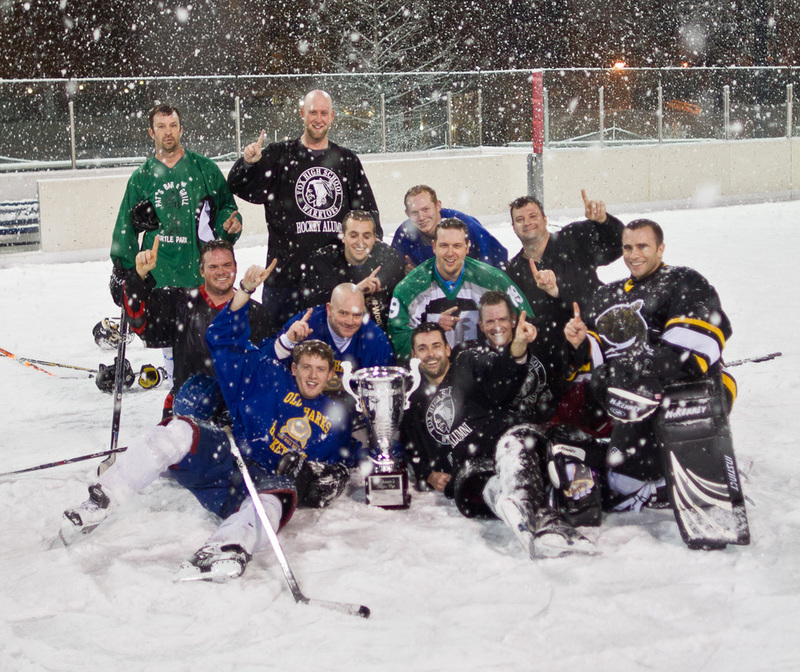 The Champions of the Frozen Cup 2013. 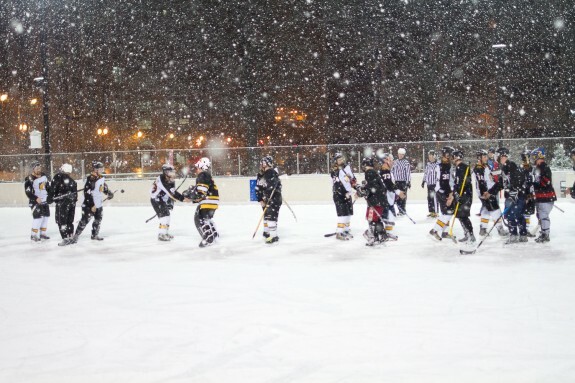 A true St. Louis area Winter Classic! What a blast these players had through this snow storm! Hockey as it was intended.